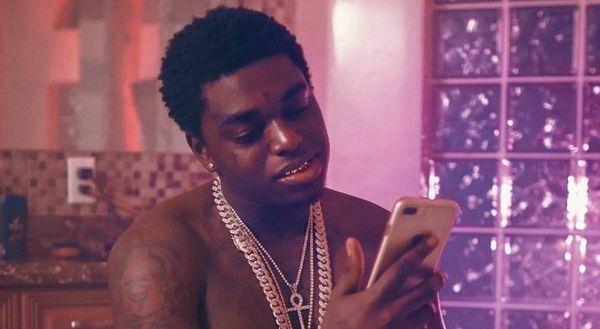 Kodak Black was released from prison this morning. As you can see, he no longer has his “Kodak Knots" hairstyle and he may have put on a few pounds. In April, Black was sentenced to one year in county jail for violating his probation by driving on a suspended license and associating with people committing crimes. The 21-year-old, had been facing up to 12 years for probation violations after he livestreamed scenes from his Florida home in which guns and weed were present. 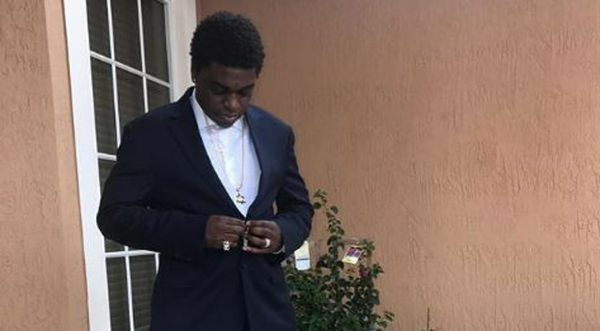 His lawyer convinced the judge that there was no way to prove the illegal items on the livestream were Kodak's and that Black and his crew “often produce music videos and other promotional videos, as is customary in the industry, using fake firearms and narcotics.” That allowed Kodak to plea down to 364 days. Black is still facing 30 years in South Carolina for criminal sexual conduct in a separate case.